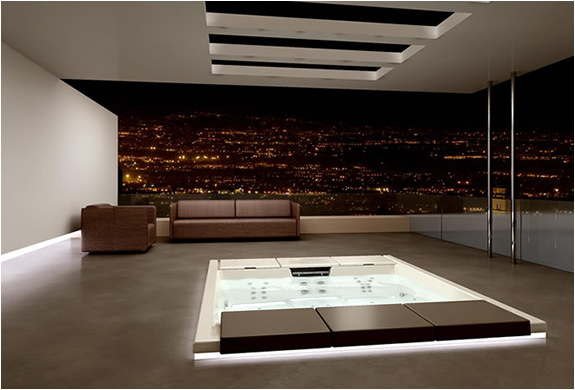 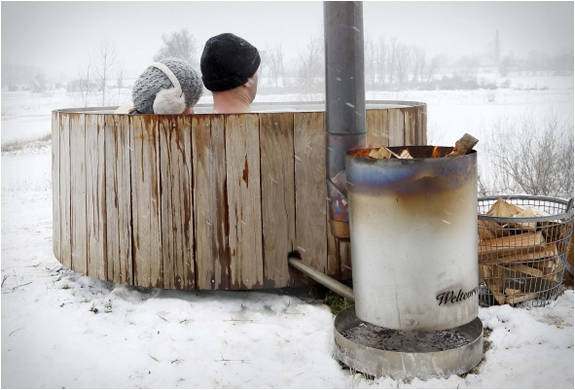 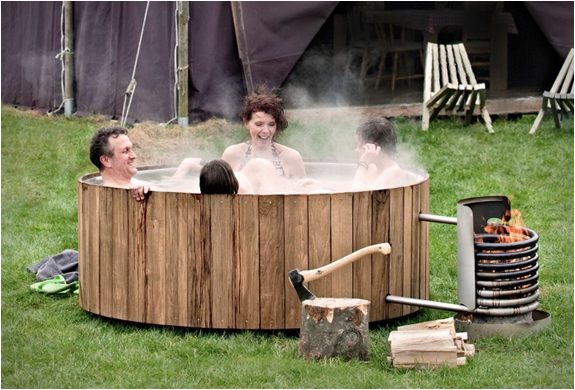 Following the huge success of the original Dutchtub, Dutch company Weltevree have recently launched the Dutchtub Wood, a wood fired outdoor hot tub that allows you to explore and enjoy the essence of outdoor bathing. 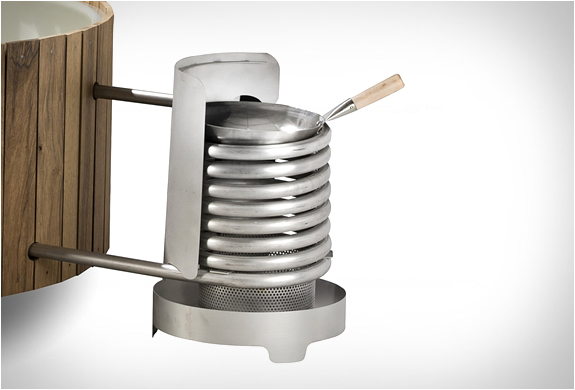 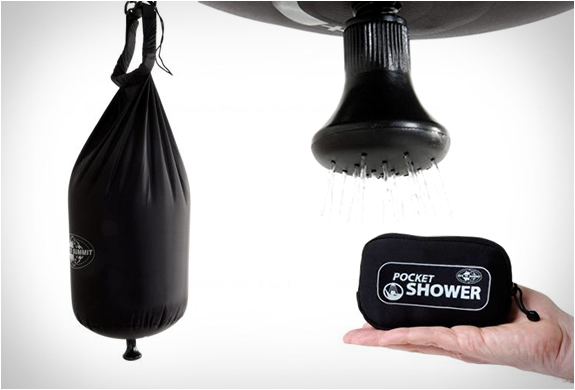 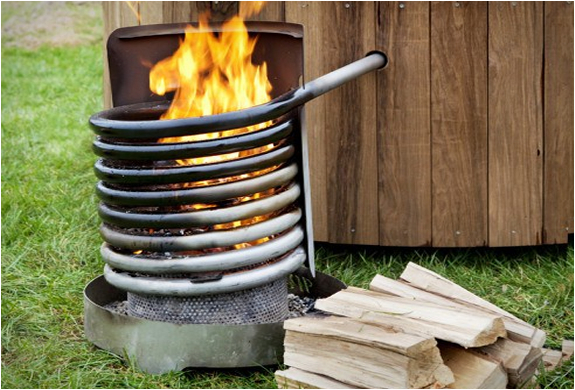 Simply light a fire in the fire basket inside the coil and you´ll have hot water to bathe in no time. 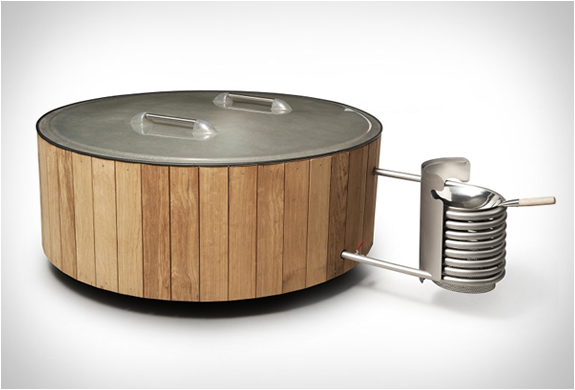 Weighing only 17lbs(85kg), the Dutchtub Wood can be easily transported and fits 4 people comfortably, you can even cook on the coil while using the tub!